Patterns of poverty and inequality are changing, and challenging the ways we understand development. Today’s increasing polarisation between rich and poor in middle-income and high-income countries highlights the flaw in the notion that economic growth heralds ‘progress’ and ‘development’ for humanity. The articles in this issue of G&D, from a wide range of voices in international development research, policy and practice, offer a gendered perspective on inequalities. 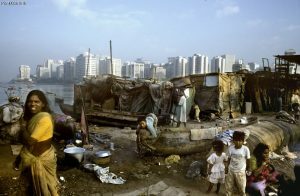 The very pervasiveness of gender inequality, and the way it intensifies other forms of inequality, demands that policymakers should focus on it as a central concern when considering issues of poverty and inequality, and when thinking of development not just in terms of GDP, but as social justice and economic well-being for all. For free access to individual articles from the Inequalities issue, please visit our page on the Oxfam Policy & Practice website, and search the site using the article title or author name. You can access the Introduction, a selection of articles, and the Resources Section from the Inequalities issue, free, below.